Over the past few days, I’ve struggled with the aftermath of the Tree of Life Synagogue shooting. As a Jew, I mourn the loss of eleven irreplaceable Jewish souls. As an American, I am incensed at the irresponsible and dangerous rhetoric from the Trump Administration and its allies that brought us here. And as a disability rights advocate, I am worried about the tendency of many to blame every mass shooting, no matter how clearly political, on the same consistent scapegoat: people with mental illness. After each major violent attack on a marginalized group, we hear commentators say that the perpetrator must have been crazy. In the hours after the synagogue shooting, President Trump pronounced the murderer “a madman, a wacko” while plenty of commentators took to social media to similarly attribute the gunman’s actions to psychiatric illness rather than his stated murderous ideology. I’ve heard from many fellow disabled Jews how painful it has been to go to vigils seeking comfort, only to be traumatized again when speakers blame mental disability for what is clearly a hate crime. These kind of comments are relatively commonplace on the political right, which seeks to shift the conversation to mental illness to avoid discussion of gun control. But such thinking is also common elsewhere on the political spectrum, where many look at racial or religious prejudice as so incomprehensible as to require the shooters to be sick and irrational. I’ve long criticized such reactions, mainly because they empower those who exploit these atrocities to restrict the rights of those who actually do have mental illness. But recently, it occurred to me that blaming mental illness causes an even bigger problem: it leaves us unprepared to address the actual causes of political violence in our society. The idea of people who subscribe to a moral universe that is truly counter to our own, that consider what we believe to be good as evil and what we consider as evil to be good, is so foreign as to be incomprehensible. “Evil” is seen as something that only religious zealots believe in. In a perhaps understandable reaction to prior generations’ moral absolutism, educated opinion disdains moral judgment about others’ worldviews. People want to believe that all our differences can be reconciled through dialogue, that to understand the other is always to end in a position of greater sympathy. But what do we do when we see the other and find ourselves repulsed because of their sincerely held beliefs? What if evil is just a word for people whose morality is hateful to our own? And what if, in moments like this, evil is still a useful concept, one that we made a mistake by turning away from? Increasingly, our society has turned to mental illness as the explanation for what previous generations would have called evil. We want to believe that no sane person could have committed acts like this weekend’s synagogue shooting, last week’s attempted attack on a black church (and subsequent racist murder at a grocery store), and similar acts of politically motivated violence. But often, those who commit such crimes make clear their political motivations. It does not take a psychiatrist to figure out what motivates a man who shoots up a synagogue while shouting “All Jews Must Die!”. If we find violence motivated by hate unimaginable from sane people, it is only because we have forgotten the majority of human history. Short of retroactively diagnosing large swaths of past humanity with mental illness, it is difficult to justify the idea that hate requires mental pathology. Some do seek such a retroactive diagnosis, but such an approach seems to define mental illness down to simply mean “people who do abhorrent things”. The Nazis were not mentally ill. The KKK is not mentally ill. The campaigns of ethnic cleansing in the Balkans, Rwanda, Iraq and in countless other places throughout history were not motivated by mental illness. To believe otherwise hurts those who actually do experience mental illness – and it leaves us unprepared to fight evil, because we refuse to believe it actually exists. The only purpose of redefining past atrocities as mental illness is to try and declaim responsibility as human beings for the darkest moments of our past. Interestingly, the desire to escape responsibility is also at the core of efforts to attribute mental illness to modern day perpetrators of political violence. If we believe that the killer was just a lone “wacko”, we don’t have to confront the ideology that motivated him or the people still spreading the incitement and hateful rhetoric that set the stage for his actions. Maybe that’s why people rarely attribute mental illness to extremist ideological violence that comes from abroad. We don’t need to separate ourselves from the actions of al-Qaeda, Daesh or other Islamic extremists. Americans aren’t generally implicated in what they do – and so we don’t need the mental illness explanation to insulate ourselves from it. When a terrorist emerges from white Christian society, however, large portions of our country feel the need to separate themselves through accusations of mental illness. Nobody wants to acknowledge that violent ideologies are being incubated in our own country. We want to believe that the hate that motivates mass violence is just an individual character flaw, not attached to any larger structure or political program. This is the purpose of mental illness in these discussions, to atomize the killer, to separate him from the social and political ties that led him to his violent actions. If these acts can just be attributed to the crazy, we can treat them as simple natural disasters, to respond to with thoughts and prayers and little else, allowing us to move on afterwards. We don’t have to face the idea that we may be in more serious trouble. We don’t have to acknowledge that, increasingly, we find ourselves facing enemies. Not people whose actions can’t be rationally explained nor people who need their misinformation rectified through dialogue, but real and true enemies. People whose moral universes are such that loyalty to our own morality requires us to understand it and them as evil. Over the last several years, we have seen the resurgence of a number of hateful ideologies in the United States and internationally. Ideas about inherent racial hierarchies that many of us thought were relegated to the ash heap of history have acquired new energy and influence. This worldview goes by many names, some new, some very old. Whether we’re discussing the “alt-right”, neo-reactionaries, neo-Confederates or just plain neo-Nazis and Klansmen, the far-right has been emboldened in recent years. The mainstreaming of racist and anti-immigrant conspiracy theory among elected Republicans has sent a clear message to the fringe: you are not so unwelcome in America as once advertised. Most prominent leaders within these ideologies will nominally disavow vigilante violence – but the nightmarish vision of black and brown hordes manipulated by Jewish puppet masters prime their supporters to take matters into their own hands. It is not an accident that the man who shot up the Tree of Life Synagogue wrote, “Screw your optics, I’m going in” moments before his attack. Once he had accepted the idea that immigrants posed an existential threat, he needed no instructions as to how to respond. Those who convinced him of the threat enabled his violent response. The good news is that we have the tools available to neutralize this threat. Most of our society still opposes the far-right’s worldview. Efforts to remove incitement and hate from social media platforms and disrupt the logistical and financial architecture that allow these ideologies to organize offer effective tools to counter the networks that spawn ideologically-driven shooters. Most importantly, we still have the tools of a democratic society available to us. We can hold accountable the politicians and pundits who spread conspiracy theories and dog-whistle prejudice from more mainstream platforms. We can boycott advertisers. We can protest enablers. We can vote. To do these things, we must first recognize the nature of the problem. Those who espouse a rigid hierarchy of race are not mentally ill. Rather, they are advocating an atavistic return to a mode of thinking that has characterized much of our species’ time on Earth. Many people dedicated their life’s work to reform these impulses, to try and drag our species to a point where we no longer saw ourselves as engaged in a zero-sum game between different racial teams. Now, as in prior generations, we face those who want us to turn back and return to what we once were. They are not ill, but they are – we hope – badly out of date. To deal with these threats, to defend the liberal values of human equality we orient our own moral universe around, our society must resurrect the idea of evil in our culture. We must acknowledge our morality as one among many – not for the usual purpose of questioning our values, but instead to defend them against competition that we should justifiably consider hateful to us. Only by understanding ourselves as a society grappling with violence emerging from a competing moral ideology, rather than from mental illness, can we hope to win that contest. I’m not quite a single issue voter, but when it comes to primaries, I’m pretty close. Needless to say, the main issue that helps me decide which Democrat to vote for is disability rights. I’m not under any illusions – most primary voters aren’t moved by the issues that I am. But that motivates me to let disability issues influence my vote more than ever: after all, if even disability rights advocates don’t vote based on our issues, how can we possibly convince politicians to care about them? Hillary Clinton’s strong disability policy proposals, for which she consulted with a broad array of disability rights leaders, led me to prefer her over Bernie Sanders. Even though many felt that Sanders was the more progressive candidate, most disability advocates have long experience with the reality that disability rarely makes the list of standard progressive priorities. The surest assurance that a candidate will endorse disability rights friendly policies isn’t their alignment within the Democratic Party’s internal political conflicts: it is the specific promises they make to people with disabilities and our families. It is with that in mind that I have decided to vote for Rushern Baker over Ben Jealous in this Tuesday’s Maryland Democratic Gubernatorial Primary. I will, of course, vote for Jealous in the general election if he should win the nomination. But after reading each candidates’ health policy proposals, I find myself both concerned with some of Jealous’ positions and cautiously optimistic about Baker’s. The central component of Jealous’ health policy platform is to implement a single-payer health care system in Maryland. Although single payer and “Medicare for All” has become the rallying cry of large parts of the left, those phrases alone provide relatively little information about what a health care system would look like. It is possible for both single- and multi-payer systems to improve or worsen Maryland’s health care relative to the status quo – and anyone who works on health policy is aware that full implementation of single-payer would require significant changes from the existing Medicare program. To his credit, Jealous provides details about his single-payer proposal: MD-Care. This gives us a chance to evaluate them. First, the good: Jealous likes Maryland’s All-Payer Rate Setting system, which requires hospitals to charge patients the same price regardless of their insurance. This is one of the best aspects of Maryland’s health care system, and Jealous is absolutely right that it makes Maryland a better fit for a single-payer experiment than other states. Jealous also supports expanding the All-Payer model to non-hospital providers (something that could be done with or without single payer). This is a good idea that could seriously improve access to physicians and other non-hospital providers for those on Medicaid. Jealous deserves serious credit for a sophisticated understanding of the unique circumstances of Maryland’s health policy. He provides a detailed analysis of how the state might approach a policy goal that most candidates just toss around as a buzzword. As many readers of this blog know, many seniors and people with disabilities depend on Medicaid-funded services to pay for services to help with things like getting dressed and out of bed, assistance in other activities of daily living and more complex support needs, like help finding and keeping a job or navigating life in the community free of danger. Historically, one of the disability rights movement’s most important goals has been moving people and money out of nursing homes and other institutions into community-based supports people can receive in their own homes. These issues were dramatized last year by ADAPT’s action against Trumpcare’s severe cuts to federal Medicaid funding. While many progressives loudly cheered ADAPT’s activism at the time, most were unaware that the organization has a long history of protesting both parties on this issue. ADAPT and other disability rights activists don’t just stand for protecting Medicaid funding – they also stand for changing how it is spent. Nursing homes and institutions segregate people with disabilities from society, depriving people of autonomy and the kinds of basic choices about when to eat and sleep, who to talk to and how to live life that others take for granted. Throughout the country, disability rights activists have clashed with the nursing home lobby on how to allocate public funding. Expanding funding for nursing home stays would increase the likelihood that seniors and people with disabilities would face institutionalization. Jealous affords home care services only the most cursory reference and groups them with assisted living facilities – congregate settings that often have more in common with nursing homes than true community-based services. He makes no reference to Maryland’s Community First Choice state option, the state’s community-based attendant care program for people with disabilities, one of only five nationally. While Jealous took the time to put together a detailed vision for the future of Maryland health policy, he largely ignored the issues that people with disabilities care most passionately about. Worse still, his only substantive comment was a full-throated defense of the nursing home industry that has opposed disability rights activists at every turn. A call to expand nursing home funding is an especially bizarre position to take in a state like Maryland, which is behind on community services for seniors and people with physical disabilities. Maryland spent 56.2% of its Medicaid Long Term Services and Supports (LTSS) expenditures on community-based care in 2016, putting it 18th in the country – not great, but not awful. But this broad number hides the significant disparities between populations in how Medicaid allocates LTSS dollars. The State has done a fantastic job at shifting towards community-based care for people with developmental disabilities, spending 97.8% of its funding for this population in the community (placing Maryland 7th in the nation). This success hides the state’s failure for people with physical disabilities and seniors, who receive only 28.5% of their funding in community-based supports (32nd in the nation). This has concrete consequences. According to the Kaiser Family Foundation, as of 2016, 23,000 Maryland seniors were on a waiting list to receive community-based services. This means that 23,000 seniors must either spend their lives in the isolation and loneliness of a nursing home, rely on uncompensated family caregivers, or risk going without support altogether. Contrary to Jealous’ platform, nursing homes remain isolating and overused, unnecessarily segregating tens of thousands of Marylanders from their families and communities. Maryland’s relatively poor record at supporting seniors and people with physical disabilities in the community makes Jealous’ call for expanding nursing home care and his relatively cursory acknowledgement of community-based options inexcusable. Though it may sound complicated and obscure, this funding is the main source of almost all of the services Marylanders with disabilities rely on. It represents one of the main areas of state policymaking under the Governor’s control, encompassing almost 30% of Maryland’s Medicaid spending and impacting tens of thousands of people across the state in life-changing ways. Despite a very sophisticated analysis of the state’s medical system, Jealous and his team are either woefully ignorant of disability services or weirdly passionate about nursing homes at the expense of in-home support. Either way, I can’t justify voting for him in the primary. Maryland can do better supporting individuals and families who find themselves thrust into the role of caregivers. More and more people find they must manage multiple medications, administer injections, provide wound care, operate highly specialized medical equipment, manage special diets, and constantly paying attention to the psychological well-being of a loved one who is battling a disease, aging, or catastrophic physical disability. Unfortunately, demands from work and life obligations don’t slow down and often pressures increase as finances become strained. Rushern Baker knows the battle as a primary caregiver for his wife Christa who suffers from early-onset dementia. While he’s blessed to have great support systems and coverage, he interacts with and reads emails from many who feel forgotten and need help. Maryland can update their Medicaid programs to make sure that home- and community-based services are available, especially training and emotional support for caregivers. Maryland can “use their licensing and certification authority to marshal a well-trained care delivery workforce” and increase the choices people have in residential settings, especially availability of advanced health monitoring and sanitizing technology as well as qualified visiting aids and nurses. Maryland can and will evaluate and incentivize the private sector to offer more flexible work arrangements for caregivers especially telecommuting; innovate shift arrangements and use of leave. Baker offers a far more detailed proposal on this issue than Jealous does. He seems familiar with the existence of Home and Community-Based Services (HCBS) and describes ways in which he would improve them, whereas Jealous limits himself to a throwaway comment that “home health aides and assisted living facilities will also be explored.” The emphasis he places on community services is a marked contrast to Jealous’ passionate defense of nursing home care. Baker’s platform here is by no means perfect. He doesn’t commit to ending Maryland’s waiting lists for HCBS and focuses his rhetoric on “caregivers” rather than people with disabilities ourselves. There is definite room for improvement. But one is left with the impression that Baker is invested in improving access to HCBS for people with disabilities and understand why people with disabilities and families want support to stay at home, not nursing homes. This matters – disability rights activists are very familiar that the general progressive stances of a politician won’t necessarily mean they support our issues. Unfortunately, disability remains left out of much of left politics. To evaluate a candidate’s likely actions on disability, it is important to look at their actual promises and commitments to the disability community, not just their broader ideological stances. Some have taken time to learn about our issues, either out of personal investment or solidarity. Some have not. This should matter to us. Whoever wins the primary, I hope they will work with state disability rights leaders to craft a more detailed message to the disability community. Both major candidates could stand to improve. Nonetheless, no issue is more important to the disability rights movement than continuing the fight to bring people with disabilities out of nursing homes and into our own homes. On this issue, there is no contrast. Because of that, I look forward to voting for Rushern Baker for the Democratic nomination for Governor of Maryland this Tuesday. Today was the first full day of the Trump Administration. I’ve just arrived home from the NYC portion of the Women’s March, and as we all settle in for Day Two of our nation’s first ever post-modern Presidency, a few thoughts come to mind. We each have a moral obligation to oppose Donald Trump’s threat to democracy in the domains we know best, and for me, that’s disability policy. As I discussed in Vox the day after the election, our goal for the next four years should be to make disability a big part of the progressive pushback against Trump – and in doing so, strengthen the ties between disability advocates and other progressive leaders to make sure we’re ready for what comes next. The Trump Presidency will be a disaster for people with disabilities – but with the right tactics, we may get the silver lining of finally bringing disability into the mainstream of the progressive coalition. So let’s get to work. With that in mind, it’s worth thinking about how to read the tea leaves on what to expect from the Trump Administration on disability. We already know that Trump intends to block-grant Medicaid, repeal the Affordable Care Act, and utterly decimate the funding base for disability service-provision over the next several years. To a significant degree, that’s not personal – it’s just conservative orthodoxy. To be clear, these policies represent a horrifying loss of critical consumer protections and hundreds of billions of dollars in funding for disability services. They are the most consequential issues for disability rights advocates – because their passage will put the lives of hundreds of thousands of Americans at risk. Still, most of those promoting ACA repeal or Medicaid block granting are doing so out of the GOP’s usual approach of right wing copy-paste legislating. The impact on people with disabilities is far from their mind or comprehension – and so we have to look elsewhere to discover the Trump Administration’s more considered intentions for disability policy-making. The vast majority of policy-making doesn’t take place in the White House. The federal government is a massive place – over two and a half million people work for the executive branch (not counting military personnel) and any administration must produce countless thousands of pages of policy and regulation in any given year. No President could manage all of this on their own, even with their White House staff. The President must appoint several thousand political appointees to manage agencies outside the White House and implement an agenda on his behalf. Unlike civil servants, who stay regardless of who wins an election, political appointees leave when their President’s term runs out, if not before, and are replaced by the incoming President. These appointees receive some broad supervision from the White House, but are mostly left to their own devices when they don’t need to propose a new regulation or make a budget request. And so, the first big sign we’ll get about how the Trump Administration intends to approach disability policy-making will come in their appointments to the federal government’s key disability policy positions. The Assistant Secretary of the Department of Education’s Office of Special Education and Rehabilitation Services, the Assistant Secretary of Labor for the Office of Disability Employment Policy and a small collection of about a half dozen other jobs will give us our first real sense of who Donald Trump intends to be on disability issues. There is a significant possibility that the Trump Administration will appoint people to these positions in the same way that past Republican Administrations have. Typically, the President delegates filling political appointments to an Office of Presidential Personnel, tasked with filling and as-needed refilling the various political appointments that keep the government running. Republican Presidents usually fill disability appointments from the ranks of prior Republican administrations, legislative staff for GOP Members of Congress, state disability policymakers, the occasional conservative think tank figure and other members of the conservative ecosystem with an interest in disability of one type or another. These appointees range from the highly competent, knowledgeable and motivated (there are a few Bush and Reagan administration officials on disability I continue to have immense admiration for and work closely with) to the in-over-their-head hacks who have a personal connection to the President and needed to be stuck somewhere. And everything in between. As filling appointments go, this would be the best case scenario under the Trump Administration. We’d likely get some disasters muddling their way through, some good people doing the best they can as the White House undercuts them by slashing budgets, and various twists on the same general theme. Disability rights advocates have a lot of experience working with Administrations staffed under these circumstances, and can make lemon from lemonade even with the less competent political appointees. Everyone has a learning curve – you make it work. However, this is only the best case scenario. To understand the worst case, we need to take a step back and think about Trump’s only real statement on disability issues as a candidate. Politicians take a lot of flak for lying on the campaign trail, and in Trump’s case it is most deserved. But you can still learn a lot by seeing where a candidate’s mind goes instinctively when asked a question – sometimes, it reveals a rare area of genuine conviction. In eighteen straight months of campaigning, Donald Trump’s only real statement on disability policy was his passionate defense of the discredited hypothesis that autism is caused by vaccinations. On multiple occasions on the campaign trail and during debates, Trump returned to this theme. Before and since the election, his campaign has interacted with prominent anti-vaccine advocates like Andrew Wakefield and Robert Kennedy Jr. As far as disability policy is concerned, autism anti-vaccine myths are the only thing that we know that Donald Trump has strong personal opinions regarding. And so, if Donald Trump decides to take a personal interest in his appointments to disability policy jobs, we know exactly who he’ll be listening to. This is much worse than it seems. One of the most interesting and concerning trends of the last eight years is the growing alliance between the autism anti-vaccine movement and the pro-institution developmental disability lobby. During the years of the Obama Administration, disability rights advocates scored a number of key victories around community inclusion in residential, day and employment services. Federal policy promoted bringing people with disabilities out of institutions and sheltered workshops and into integrated community living and supported employment settings. Needless to say, this sparked something of a backlash. Throughout the 1980s and 1990s a vocal contingent of parent advocates affiliated with groups like Voice of the Retarded (VOR) and others agitated passionately against the closure of state institutions and the shifting of people with disabilities into the community. Some of these groups received substantial funding from public sector labor unions concerned that their members would lose their jobs if the state shifted residents out of institutions and into the community. However, in most cases, the families involved had excellent intentions yet were deeply misguided about the value of community living. The research shows an overwhelming degree of support for the value of community living over institutional ones. In most cases, families who are worried or concerned about community living reconsider after their child enters the community and accesses adequate supports. For example, a comprehensive study of parental attitudes and outcomes to community inclusion around the closure of the famous Pennhurst institution in Pennsylvania saw a dramatic shift in parental opinion after their relatives entered the community. From 55% of families strongly opposing community placement prior to their relative leaving the institution, only 4% continued to do so after their relative had entered the community. The same study found that, while only 19% of families surveyed strongly agreed with community placement prior to relocation taking place, a full 66% strongly agreed with it afterwards. The pro-institution lobby has always had a certain degree of relationship with the autism anti-vaccine movement. For example, a 1993 editorial from Bernie Rimland – founder of the Autism Research Institute and a prominent evangelist for anti-vaccine pseudoscience – warned parents to “Beware the Advo-Zealots” promoting community living for adults with developmental disabilities. But as de-institutionalization has progressed and the autism vaccine causation hypothesis has been conclusively discredited in the eyes of the public, these two “fringe” movements in disability advocacy have begun to come together. Several years ago, VOR began collaborating closely with Age of Autism and other anti-vaccine groups, accurately recognizing that those who refuse to believe the overwhelming evidence on vaccine are unlikely to believe the equally overwhelming evidence in support of community living. The relationship is close and ongoing, with VOR and other similar parent groups successfully enlisting anti-vaccine parents in efforts to oppose shifts away from sheltered workshops, the expansion of rights for individuals living in group homes and other restrictive service-provision environments and further efforts to shift state and federal funds away from institutional care and towards community supports. As a result, there are rapidly expanding social, professional and financial relationships between anti-vaccine and pro-institution advocates. While anti-vaccine parents continue to hold a variety of views around inclusion in residential, educational, day and employment settings, there is an increasing likelihood that the leaders of the anti-vaccine movement will have considerable sympathy for pro-institution policy-making preferences. A Trump Administration that believes that vaccines cause autism insults Autistic people and can do tremendous harm to public health. But at the end of the day, defending vaccine policy is not a core interest of disability rights advocates. There are others for that job, and compared to other areas Trump is engaged in, it is not even a top five concern. But once we take into account the “congealing of the fringe” that’s taken place in autism and developmental disability politics over the last decade, an anti-vaccine President is a much scarier prospect. After all, the people that have Trump’s ear on disability aren’t just anti-vaccine – they also hold views that promise to reverse decades of federal policy promoting inclusion and access to the community for people with disabilities. If Donald Trump turns to his anti-vaccine friends to fill disability policy positions within his Administration, he will be getting names prepared to reverse the most cherished victories of disability advocates around closing institutions, expanding community services, shifting people out of sheltered workshops into integrated employment and expanding choice and control people with disabilities have over their own lives. So watch the appointments carefully, and be prepared to respond. For some positions, a Senate confirmation process exists that will afford an opportunity to investigate the views and qualifications of Trump’s nominees. I can speak from personal experience that the anti-vaccine and pro-institution wings of the autism and disability worlds are not reluctant to use this process to advocate against nominees who don’t match their views (as is their right). We would benefit from following their example. For other positions, no Senate confirmation requirement exists – meaning that disability advocates will need to make their case to the press and the public in order to sound the alarm bells as quickly as possible. Highlighting the ways in which pro-institution political appointees may threaten to reverse hard-won Obama Administration victories on disability rights may help limit the damage – or at least educate progressive advocates from other communities about these issues. That education may matter quite a bit when the next Democratic President gets inaugurated (swiftly, and within our days). It is my sincere hope that this speculation all proves unnecessary. If we’re fortunate, the first round of Trump disability appointees will show us their personnel policy on disability is similar to Bush and Reagan before him. But if we’re not, it will be more important than ever for the disability rights community to be ready. When it comes to community living, Donald Trump can be as dangerous for people with disabilities as he is for so many other parts of the country. Last week, the Department of Labor issued a new rule raising the salary threshold below which workers are entitled to overtime pay. This is a pretty big deal – prior to now, only those making below $23,660, about seven percent of the workforce, were eligible for overtime. Thanks to the Department’s new regulation, as of December 1st workers making below $47,476 will now be eligible for time and a half pay when they work more than 40 hours a week. More prominent commentators have written about the potential impacts of the rule far better than I, but on balance, it seems like a step forward for working Americans, whose wage growth has stagnated for decades. The rule has a particular disability element, however. The Department of Labor coupled the rule with a time-limited non-enforcement policy applying to most residential based providers of Intellectual and Developmental Disability (I/DD) services. Essentially, for the majority of agencies providing services to people with I/DD, the Department of Labor will decline to enforce this new overtime threshold for the next three years. The non-enforcement policy (which, full disclosure, ASAN joined other groups in advocating for), raises interesting questions. Why are Medicaid-funded employers different from other ones? What rationale justifies different rules applying to them, albeit only temporarily? Others have written on the hypocrisy of progressive organizations seeking to maintain unfair labor practices inconsistent with their stated principles. Is this just another example of a right for me but not for thee? On balance, I think not. Agencies providing community services to people with disabilities are uniquely situated among employers, in that virtually all of the funding they receive comes from state Medicaid programs. Unlike private business, for whom added labor costs can be covered by reducing profits, or donation-supported non-profits, who can cultivate new donors, most disability service-providers rely exclusively on Medicaid reimbursements set by state government. Where the state chooses to raise rates in line with new labor regulations, this isn’t a problem. Where it does not, however, small and medium sized providers are forced to scale back services to the people they serve in order to stick around. This isn’t the first time that this issue has come up. In 2011, the Department of Labor proposed a new regulation drastically narrowing an exemption to the Fair Labor Standards Act known as the “Companionship Exemption”, allowing home care workers to be paid without regard to overtime and minimum wage law. Under the new rules, promulgated in final form in 2013 and having recently come into effect in late 2015 after an extended court battle, the Companionship Exemption no longer applied to the vast majority of workers providing services to seniors and people with disabilities in community-based Medicaid programs. For the first time, federal labor law would apply fully to this population. While the application of minimum wage requirements was not a significant burden (most states already required this in state law), requiring time-and-a-half for overtime was. State Medicaid rates to agencies (and individual budgets for people with disabilities who self-direct their own services) had never taken into account the need for overtime costs. Furthermore, given the low rate of pay most support workers receive and the difficulty in finding a good interpersonal “match” between worker and client, it has long been commonplace for workers to work well in excess of forty hours a week. Without access to new Medicaid funds, agencies and self-directing people with disabilities would be unable to cover the cost of overtime, raising the potential of cutbacks in worker hours and/or services received. Such cutbacks could lead to people with disabilities forced into nursing homes and institutions as a result. Disability rights advocates (myself included) were justly concerned, and many fought hard against the new rule. Considerable controversy ensued. In so far as the Companionship Exemption regulation planned for the likely impact on providers supported by state Medicaid programs, it did so in the expectation that it would force a crisis, triggering necessary state reforms. This way of thinking is simple: if provider agencies were forced to pay overtime on hours worked above forty hours a week, they will successfully pressure their legislators to allocate funds to cover their added costs. Under this formula, new labor law and the additional Medicaid funding needed to pay for it are the proverbial “chicken and the egg”. One has to come first – and proponents of the Companionship Exemption rule hoped to force the new funding by requiring that overtime be paid. And in some cases, this is exactly what happened. Unfortunately, not every state responds the same way to a crisis. Some states have simply declined to allocate new funds to assist agencies to comply with the rule, working under the assumption that agencies will act on their own to prohibit their workers from working above the 40-hour threshold. Many of these states have directly prohibited worker overtime in self-directed programs, where people with disabilities manage workers without an agency. These worker hours caps cause serious problems for people with disabilities. The new caps threaten long standing support relationships and force many – particularly those in rural areas or with specific cultural and linguistic competency needs – to struggle to find new providers (a problem MySupport, a new tech platform some colleagues and I developed, is designed to help solve, I should add). Workers are also worse off, facing a cut-back in hours and a reduction in income as a result. And because of a long standing labor law doctrine called “joint employment”, which stipulates that entities that play a significant role in designating working conditions or wages may also be considered employers even if they are not the entity signing paychecks, a number of states realized they had to limit the number of hours a worker could work for any Medicaid-funded recipient of services within a self-directed program. Not only could workers not work more than forty hours a week for a single client under these rules – they can’t work more than forty hours a week for any client funded by the Medicaid program, since the state is considered a “joint employer” with the person receiving services. Since collective bargaining agreements and state-designated wage rates can tip the balance into a state becoming a joint employer, this is causing some states to consider rolling back such measures, leaving labor rights worse off in these jurisdictions. What lesson should we draw from this? Should Medicaid providers be permanently exempt from overtime obligations and other aspects of labor law? No – such a policy would not only be unfair to workers, it would be terrible for people with disabilities. Already, publicly funded community based services struggle to attract an adequate workforce, with sky-high turnover rates and workers living in almost as much poverty as the people they support. It is no accident that the Department’s non-enforcement policy represents a delay rather than an exemption of the Department’s enforcement of the new overtime rule. The intent behind this measure is to allow state legislatures sufficient time to allocate new funding, allowing the implementation of these labor protections to be put in place in a responsible way, without harming those receiving services. In fact, one can argue that the Department’s non-enforcement policy really doesn’t go far enough. After all, the Fair Labor Standards Act is not enforced solely through government action. Private citizens can bring lawsuits for unpaid wages any time they want, and the Department’s non-enforcement of the new rules does not change their applicability to I/DD service-providers. And, of course, eventually, the Department will enforce its own rules, and there is no guarantee states will do the right thing and raise rates before then. Since the fight over the Companionship Exemption rule (and as efforts to raise state and federal minimum wage laws proceed), disability rights advocates have been discussing the need to tie Medicaid rates to new labor laws. Some more progressive states have passed state statutes doing so already. But this is a national problem, and it requires a national solution. At the federal level, there are a variety of avenues that could accomplish this. The most reliable would be a change in law. Congress certainly has the authority to require states to adjust Medicaid rates in line with minimum wage and other labor law modifications, and perhaps offering an enhanced Medicaid match rate for labor law changes originating at the federal level (like an increase in the national minimum wage). Should such a measure prove politically difficult, it is possible that more limited progress could be secured through administrative action from the Departments of Justice and Health and Human Services. A series of enforcement actions to better articulate the parameters under which states must offer an exceptions policy (and the circumstances under which it would be triggered) would go a long way to making this guidance more meaningful to the lives of people with disabilities. Still, exceptions to worker hours caps won’t fix the bulk of the harm caused by the overtime rule. What’s needed are changes to state and federal law to require Medicaid rates to rise automatically when labor law increases provider costs. Such a policy would address the conflict between labor and disability rights advocates. We should be able to find a way to protect both of our interests. Labor must realize that forcing a crisis in disability support is an irresponsible and dangerous way to secure new funding – and disability advocates should join forces with unions to build a viable political coalition for planned and responsible increases in worker compensation. Workers providing disability services deserve the full protections of labor law and people with disabilities deserve adequate access to community support from workers they trust. It’s past time that we put in place policies that protect the rights of both workers and people with disabilities. Late last night, Senator Ted Cruz ended his campaign for the Presidency. While Cruz himself was by no means suited to be President, his departure from the race makes something that would have been unbelievable a year ago a certainty: Donald J. Trump will become the Republican nominee for President of the United States. Even the once formidable Republican Establishment is rallying around Trump. Shortly after the results of the Indiana primary were announced, the chair of the Republican National Committee, Reince Priebus, tweeted his support and called for the party to unite behind a man who has built his campaign on the rawest kind of hatred, prejudice and xenophobia. Ari Fleischer, George W. Bush’s Press Secretary, tweeted his support for Trump only two months after condemning his refusal to denounce David Duke and the Klu Klux Klan. How did we get here? Many are asking that question, and better minds than mine have put forward a wide array of theories. But there’ll be plenty of time later on to try and figure out how a vulgar reality television star who built his candidacy on the most outrageous sort of lies and authoritarianism became a major party nominee for President. Now, our focus must shift to ensuring that he does not win the general election. Because make no mistake: Trump is dangerous, and while the smart money remains that the Republican party that was foolish enough to select him will lose by historic margins in November, we underestimate him at our peril. He is cunning, shameless and extraordinarily talented at becoming whatever it takes to win. People underestimating Donald Trump is what got him this far. Those of us who see what a disaster Trump would be for the United States of America and the world need to not make that mistake. At times like this, it’s incumbent upon every reasonable person to do their part. We all have to speak out, to whatever small section of the electorate listens to us, about the danger that Mr. Trump poses to the American republic. Others will speak about how Trump threatens racial and religious minorities, democratic norms, journalistic freedom, basic standards of human rights, long-standing American commitments to our allies abroad and much, much else. As a lifelong disability rights advocate, my role is to speak – solely in the capacity of a concerned citizen – as to how Trump threatens the disability community. It’s a more important task than many people realize, in part because people with disabilities have not been the main target of Trump’s demagoguery. Despite a reprehensible episode last year where Trump engaged in a cartoonish mockery of a journalist’s physical disability, the bulk of Trump’s attention has not been on the disability community. And this is exactly the danger. To those of us who have been watching closely, there is significant evidence that Trump is likely to make a play for the disability vote before the general election is over. Already, his campaign has tried to reach out to parents of autistic children who buy into the long discredited myth that autism is caused by vaccinations. As far back as the second Republican primary debate, Trump linked autism to vaccines, going on to spout the long discredited idea that “autism has become an epidemic…Twenty-five years ago, 35 years ago, you look at the statistics, not even close. It has gotten totally out of control.” Never mind the overwhelming scientific consensus against vaccine causation of autism, or the significant evidence that shows that autism has always existed in the general population at comparable rates to the modern day. Never mind the despicable premise that subjecting children to the risk of death from fatal illness is preferable to even a fake risk of having an autistic child. Trump saw an electoral opportunity, and he took it. With some results, it must be said. Just this past month, Bob Wright, the founder of Autism Speaks, tweeted his enthusiastic support for Trump. Since then, former Autism Speaks executive and failed Republican congressional candidate Elizabeth Emken joined the Trump campaign as a spokesperson, appearing on national television to defend Trump’s comments and claim the vaccine issue was still an open question. Trump has become the enthusiastic candidate of anti-vax parents, receiving endorsement from several blogs associated with the anti-vaccine wing of the autism parent movement. Trump has also made symbolic gestures towards the veteran community, which includes a significant number of people with disabilities. While these have generally been rejected by the more respectable veterans organizations, he’s doing so because he sees an opportunity and a need. Having nearly won the Republican nomination by showcasing his willingness to trample upon those sectors of society that are weaker than he is, he knows that in order to win a general election he will need a fig leaf. An image as a candidate that stands up for disabled children and wounded warriors is a useful one to project. Every credit he gets in that column will help offset his reputation as a bully displaying his machismo by attacking immigrants, minorities and women. It’s important to deny him that opportunity. When the Americans with Disabilities Act passed in 1990, people with disabilities were protected from most forms of discrimination – with one notable exception: insurance markets. From 1990 to 2014, when the Affordable Care Act came into full implementation, disabled Americans could be denied access to insurance coverage or charged exorbitant rates above the non-disabled population in order to access health insurance. The ACA changed that, banning pre-existing condition discrimination and requiring insurers to serve all who sought their services. Early in the Republican primary, Trump claimed to want to protect people with pre-existing conditions from continued discrimination. But his health plan includes no such provision to do so – and promises to completely repeal the Affordable Care Act. What’s worse is Trump’s promise to eliminate the ACA’s mandate that individuals buy health insurance. While unpopular, the individual mandate is the only realistic way to make a ban on insurers discriminating against people with disabilities and other pre-existing conditions viable. The House Republican leadership knows this – which is why Speaker of the House Paul Ryan has recently called for bringing back pre-existing condition discrimination in the Republican alternative to the Affordable Care Act. What the individual mandate – and the use of pre-existing condition discrimination before it – is designed to do is simple: ensure that people don’t wait till they’re already sick to buy insurance. Without it, the health insurance model doesn’t work. Insurance depends on large numbers of healthy, non-disabled people paying premiums against the risk of future illness. By planning to repeal the ACA, Trump shows that he will not keep in place President Obama’s policies protecting people with disabilities from discrimination in the insurance market. By promising to eliminate the individual mandate, Trump proves that he will provide no new such policy himself. Allowing the sale of insurance across state lines is a pleasant-sounding policy idea that’s been rattling around conservative healthcare talking points for years now. It seems superficially positive – after all, increasing competition between insurance providers should serve to reduce prices. Unfortunately, the reality of this proposal would be to set off a race to the bottom for insurers to offer the least comprehensive benefit package possible. Conservative commentators support the sale of insurance across states lines mainly because it would effectively render impossible meaningful state regulation over insurer benefit packages. State laws requiring insurers to cover particular benefits, like occupational therapy, pregnancy coverage, assistive technology or other health care services or devices would be rendered effectively meaningless by this proposal. States which maintained these laws would only have their insurance purchased by those who required the benefit – leading to financial insolvency on the part of state health plans. (Once again, the fundamental premise of insurance requires some people to purchase plans that include benefits they don’t yet need and may never need.) Instead, the last plans standing would be those based out of states that allowed for cut-rate, minimal coverage, insufficient to meet the needs of children or adults with disabilities. Such an approach would force millions of adults with disabilities and families with children with disabilities to limit their work effort in order to qualify for Medicaid or the Children’s Health Insurance Program. Ironically, one of the only things that could prevent such a negative trend is…the Affordable Care Act, which allows the federal government to set basic standards for what insurers must cover that apply nationally. Once again, block-granting Medicaid to the states is a longstanding right-wing policy proposal. Currently, Medicaid works as a partnership between the state and the federal government. For every dollar that a state Medicaid program is willing to commit, the federal government will match it with a dollar of their own (and in most cases much more than a dollar, as the federal match rate is calculated based on the level of poverty within the state – poor states get more federal money). That means that as a state’s commitment increases, so does the federal governments. This match is critical to ensuring that states are supported to do things like end waiting lists, expand access to critical services to seniors and people with disabilities and continue to maintain support for Medicaid during times of economic downturn. It also means that the federal government can offer incentives for states to change behavior in positive ways – for example, the Money Follows the Person program has helped tens of thousands of people with disabilities escape institutions and nursing homes by offering to pay a 100% match for the cost of their services for their first year in the community. Unfortunately, Trump’s proposal to block-grant Medicaid would drastically change the nature of the Medicaid program. Instead of states receiving federal funds that match their own commitment, a block grant would lead to states receiving a preset amount of federal funding with no strings attached and no commitment to match additional state investments. This would mean that states would have relatively little incentive to act to cut waiting lists, expand services or maintain their programs when the economy and the state budget was suffering. According to the Center on Budget and Policy Priorities, the block granting proposals included in the House Republican budget would cut Medicaid funding by $1 trillion over the next ten years. By 2026, funding would be at only two-thirds the level anticipated under existing law. As Medicaid represents the primary funder of aging and disability services in the United States, this is yet another example of the devastating impact Donald Trump’s election would have on disability policy. Over the last few years, as gun violence has become more prominent on the national agenda, many in the Republican party have looked for a scapegoat that can move attention away from gun control measures. They’ve found that in people with mental illness. The “promising reforms being developed in Congress” that Trump is referring to is the Murphy bill, H.R. 2646, the Helping Families in Mental Health Crisis Act. This legislation would significantly limit the HIPAA privacy rights of people with psychiatric disabilities and would incentivize states to expand forced treatment. The bill also includes provisions that would expand institutionalization of people with psychiatric disabilities and make it harder for the federally-funded Protection and Advocacy rights protection program to provide them with legal representation to secure their civil rights. It’s likely that at some point in the general election, Trump will use this as a talking point to show his “support” for helping people with mental illness. It’s important that we not be tricked when he does. There’s more to be written about this, to be sure. One can only imagine what the Donald would do to Social Security Disability Insurance or the cavalier attitude with which he would treat the educational rights of children with disabilities. But it’s important to start talking about this now, because the longer the race goes on, the longer Trump and his advisors will try and “evolve” him into a candidate that can win the general election. No doubt promises to be a champion for people with disabilities will play a part in that. When those promises come, be ready and be skeptical. Trump will want to buy the right to trample on the rest of America by offering a mess of pottage for the disability community. If we are so foolish as to accept, he will trample on us too. Last week was Purim, a Jewish holiday that celebrates the saving of the Jewish people from the genocidal Haman in the ancient Persian empire. Purim happens to be one of my favorite holidays, not least because it involves dressing up in funny costumes, performing plays that parody current events and whatever your favorite alcoholic beverage of choice is. Still, without a doubt, my favorite part of the Purim holiday is the reading of Megillat Esther (the scroll of Esther), the story of how Esther and Mordechai saved the Jewish people from Haman’s plot to wipe us out. The story is well known to most Jews, and very enjoyable in both the hearing and the telling (though some tellings are more creative than others). My favorite part is about halfway through, when the King can’t sleep, so has one of his servants begin reading to him from the book of records (presumably with the hope that this would conk him right out – Ahasuerus is very obviously not a policy wonk). The records reflect that some years previously, Mordechai had informed the Palace of a plot by two of the King’s chamberlains to murder the King. This being behavior that royalty likes to reward (in the quite understandable hope to remain thoroughly un-murdered), the King asks, “What Honour and dignity hath been done to Mordecai for this?” and is quite shocked to discover that the answer is precisely bupkis. The King is overjoyed with Haman’s response, and immediately cries out, “Make haste, and take the apparel and the horse, as thou hast said, and do even so to Mordecai the Jew!” What followed was most definitively not Haman’s best day, as he led Mordechai through the streets, delivering to the pious and unbowed Mordechai his own lusted for ego trip. Why do I love this story? Because it’s funny, certainly. And also because it involves an unprincipled power-seeker receiving an ironic comeuppance. Speaking as someone who works in a city filled with unprincipled power-seekers, that’s quite a draw. But there’s another reason I love it. You see, the truth is that this part of the story is unnecessary to the narrative. It’s an interlude in the larger Purim tale, which is much more about Queen Esther’s courage to use the privilege and power of her position to save her people, even at great personal risk to her life. You could tell that whole story without this amusing tale of Haman’s humiliation. Yet the Megillah includes it, and I have a theory as to why. Megillat Esther is somewhat unique among Jewish holiday narratives in that it lacks any form of direct divine intervention. Passover comes with the Ten Plagues and the parting of the Red Sea; Shavout has the giving of the Torah at Mount Sinai. Even Hannukah, which is primarily about a secular military victory and, like Purim, is not biblical in origin, has the ‘miracle’ of the oil which lasted for eight days when only enough for one was left. Purim has no such miracles, no direct divine intervention. When the Jewish people are finally saved thanks to Esther denouncing Haman and enlisting the support of the rather flighty Ahasuerus in enabling the Jews to fight for their lives, there is no violation of the laws of nature to bring about this victory. It is a small win, and one entirely attributable to human efforts. So also is Haman’s humiliation and Mordechai’s unwitting elevation, even if it is a sidenote in the more important story of Esther’s bravery. Indeed, this part of the story seems to be the result of neither human will or divine intervention. Instead, it’s just pure dumb luck. Events transpire in just the right way, from the King’s insomnia to Haman’s loitering in the courtyard at just the right time, to enable this cherry on the sundae of the Jews’ deliverance. Though it is less impressive than the parting of the sea or raining down mana from above, this is much more like how we look for G-d in the modern era. The Talmud teaches us that it is forbidden to rely on miracles – that we must live our lives with the expectation that it will be our choices and our efforts that will lead to our success or failure. To sit around and wait for G-d to elevate you – or to be foolhardy with ones life in the confidence that a miracle will preserve you – is strictly prohibited. Joshua could count on G-d to halt the sun in the sky to win a battle and Moses could use the tools that G-d gave him as proof of his divine mandate. We just have to do our very bests, hoping for an outcome that will likely be indistinguishable from a lucky break. But sometimes, despite not lounging about in expectation, we succeed against truly shocking odds. Sometimes this happens through the success of a dangerous gambit we only took because our moral obligations left us no choice, like Queen Esther risking it all to approach the King and ask for the salvation of the Jewish people. Sometimes it comes through no particular plan of ours, when a good deed from long ago comes back to reward us when we least expect it, as it did for Mordechai. In these moments, I feel the divine presence. I don’t mean it in a proselytizing sense – we Jews don’t do that, and everyone should feel free to interpret the world in the way that helps them manage life’s challenges best for them. But for me, there is something profoundly meaningful in seeing G-d when I find success despite long odds – especially when I know that any success is an interlude between past and future failures. The story of Esther serves as a bridge between the biblical age of miracles and the world we have now. In the world we live in, stuck relying on our own efforts and dumb luck to save us and those we care about, it helps a lot to feel G-d at ones back when we finally eke out a win. Last month, the Jewish community noted Jewish Disability Awareness and Inclusion Month (JDAIM), an annual opportunity each February for Jewish communal institutions to recommit themselves to working for the full inclusion of Jews with disabilities in all aspects of our community. Much work is needed on this issue, and recent events have convinced me that not everyone in our local Jewish community is on board with the cause. The Rabbi then goes on to articulate different kinds of schools that might specialize in students he is reluctant to welcome, noting that “one school may focus on students with dyslexia, ADHD, and other language-based learning differences, [while]…another school serves students with obsessive-compulsive disorder, sensory processing disorder, autism, or Asperger syndrome.” The message is clear – such students belong elsewhere, not in the hallowed halls of Rabbi Malkus’ august institution. Of course, not every student will succeed in every school. But such lack of capacity is far from a law of physics – it is a deliberate choice, made by educational institutions when they choose to allocate funds in a way that de-prioritizes meeting the needs of disabled learners. 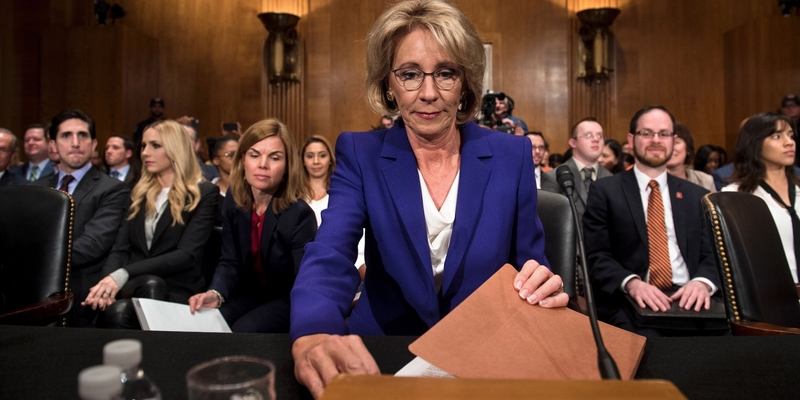 Secular public schools face an obligation to serve students with dyslexia, ADHD, obsessive compulsive disorder, autism and other disabilities Rabbi Malkus cites in the general education classroom. They frequently do so with far lower per pupil funding than schools like JDS charge in tuition. Is the implication here that secular institutions are inherently more capable than Jewish ones in providing a high quality education? I do not believe this to be the case – instead, it’s a matter of setting priorities. Commitment to inclusion should not be dismissed as a matter of naive ideology. We should realize the consequences of telling Jewish students with disabilities that they do not belong. Often, it means a break in Jewish continuity, with youth and families determining that if Jewish communal life has no place for them, it will not have a hold on their hearts. At best, it means a lifelong sense of looking at the Jewish community from an arms length perspective. At worst, it may mean increased vulnerability to abuse and a sub-standard education, given the evidence showing that students with all kinds of disabilities have consistently worse outcomes in segregated environments. Kicking people out of our schools doesn’t make it easier for them to have their learning needs met – it simply makes meeting those needs someone else’s problem. It is an astonishing marker of attitudinal barriers in Jewish education that this is the message on disability that Rabbi Malkus chose to start the conversation with. For non-disabled students, one may typically assume a welcoming attitude, and approach challenges with the expectation that they can be surmounted until it becomes clear that they cannot. Rabbi Malkus’ message seems to take the opposite approach, assuming that the most relevant message his community should hear around disability inclusion is to accustom themselves to the idea that JDS may not be a place for disabled Jewish youth. As a disability rights professional and a disabled Jew who left a Jewish Day school upon receiving one of the diagnoses Rabbi Malkus cites, I find this indicative of a broader trend in which Jewish day schools fail to see the education of students with disabilities – particularly those with significant cognitive or behavioral challenges – as within their purview. This isn’t a new problem – in the secular world, we have a wealth of data on what happens when administrators “counsel out” families with children with disabilities from their schools from the charter school movement, whose leaders make similar statements. The research literature on including students with disabilities in the general education classroom shows that one of the single biggest predictive factors is administrator and teacher attitudes, regardless of the severity of the child’s disability. We also know from data in the public school system that there are vast disparities between district to district and state to state as to the rate of inclusion of students with disabilities – disparities that indicate that it is political will, not level of impairment, that drive whether or not a child will be included. No such data exists for Jewish Day Schools because we fail to collect it, though we do know that Jews with disabilities are vastly underrepresented in other youth-focused communal activities, such as summer camp. Local funders and Federation leaders should consider requiring the collection of self-reported data on disability status in local schools, camps and other programs, and making it available in a properly anonymized format in order to ensure that community members can see where different programs stand on inclusion. Furthermore, though the Americans with Disabilities Act’s religious exemption shamefully means that schools like Charles E Smith are not bound to the same legal obligation that secular institutions with comparable resources and missions are, Federation and other philanthropic organizations should require Jewish Day Schools and other programming to commit to comparable non-discrimination protections. An independent, clearly marked process of recourse to address disputes should also be established, to make up for the courts being blocked off when the school, camp or program discriminating is religious in nature. Rabbi Malkus’s remarks are only one sign of a much bigger problem, and work is needed to send a clear message that Jewish Day Schools are willing to welcome and work for the inclusion of all Jewish children. As the Rabbi may recall from his own rabbinic education, R. Hillel wrote in Pirkei Avot, Al Tifrosh Min Hatzibur (“Do Not Separate Yourself From the Community”). We must recall that Jews with disabilities are part of that community – and when we are relegated to separate, segregated settings, our leadership fails to live up to Jewish values. Disability Wasn’t Mentioned in the State of the Union. Should We Care? This past Tuesday, President Obama gave his last State of the Union address. As a policy wonk and a card carrying member of the politics fandom, I enjoyed it tremendously. As a disability rights advocate, I was underwhelmed. Except for a heartfelt section calling for more medical research on curing cancer, the President failed to bring up people with disabilities in his remarks. This is not altogether unusual. While President Obama will have many disability rights achievements as part of his legacy when he leaves office next year, he has rarely acknowledged the disability community in his remarks to the nation. I have complicated feelings about that. After all, it isn’t as if President Obama has not done a tremendous amount for the disability community. The President’s Affordable Care Act is perhaps the single most important piece of disability rights legislation since the Americans with Disabilities Act (ADA) itself, though most people don’t see it as such. And yet, the benefits of the ACA are designed first and foremost for the general public, and it has been sold in those terms. Very few people think of Obamacare as a gift to the disabled. Perhaps that is as it should be. But the minimal attention paid to the disability community in President Obama’s public addresses does leave one with the impression that the White House does not view disabled Americans as a group worth pandering to. It is not as if Presidents addressing the disability community in their State of the Union remarks has no precedent in modern political history. George H.W. Bush, who championed and signed the ADA, made reference to the legislation in three of his four State of the Union addresses. Bill Clinton used his 1999 State of the Union to propose a modest long-term care tax credit as well as to call upon Congress to pass legislation making it easier for disabled people to remain in the workforce. In his 2000 address, he followed up to commend Congress for passing that bill into law. George W. Bush focused on a more specific part of the community, but still emphasized disability services in at least three State of the Unions, twice calling on Congress to re-authorize the Ryan White Act supporting individuals with HIV/AIDS, and held a legitimately impressive record regarding improving treatment for HIV/AIDS internationally. An earlier State of the Union referenced his New Freedom Initiative, a Presidential agenda for expanding disability equality (albeit one with rather limited outcomes). What’s galling is that President Obama has an extraordinarily strong disability rights record, arguably far more so than that of most or all of his predecessors. The Affordable Care Act’s ban on insurers discriminating against people with pre-existing conditions is a potentially game-changing step for disabled Americans. The Obama Administration’s Justice Department has engaged in unprecedented enforcement of the Supreme Court’s Olmstead v. L.C. decision, a 1999 court ruling requiring states to offer community services to seniors and people with disabilities that sat ignored for most of the Bush Administration. And thanks to an executive order signed by the President in 2010, the federal workforce has reached a record high in employing workers with disabilities. So does it matter that President Obama doesn’t talk about people with disabilities, if his disability policy record is impressive? I think it does. During my time on the National Council on Disability and in my ongoing work with ASAN, I’ve seen the policy process up close and personal. Many of us in the advocacy community are aware of how many of the Administration’s most important disability policy outcomes came from the personal commitment and expertise of senior appointees. As Assistant Attorney General for Civil Rights, Tom Perez made freeing people with disabilities from institutions and nursing homes a personal cause. Similarly, figures like Sharon Lewis, Sam Bagenstos and Patricia Shiu made aggressive enforcement of disability rights law a priority across every area they had responsibility. Much of the disability policy legacy of the Obama Administration can be attributed to the energy and vision they and others like them brought to their roles. No doubt the President approved of those initiatives, and he deserves credit for appointing people who sincerely care about the community to important positions. Personnel is policy, after all. But not every political appointee comes with a personal connection to the disability community. Most take their cue from the White House as to which constituencies and projects should be prioritized on an agenda that can not possibly encompass every worthy cause. When people with disabilities are mentioned as a priority in a State of the Union, it lights a fire under every government employee. We need that kind of attention and focus. This past month, I published three articles on issues in disability policy. Looking back on them, I’m struck by how (by no particular plan) they reflect a very interesting breakdown of the different kinds of disability rights advocacy. While the regional center system is admirable, California’s extraordinarily poor funding of it is not. For the last several years, it has become increasingly clear that a crisis exists in California’s developmental disability system, driven by low rates of provider reimbursement combined with a rapidly increasing cost of living. California’s rates are significantly below that of other large and western states, with the disparity between provider reimbursement rates and cost of living particularly drastic in the state’s major urban metropolitan centers. A review conducted by the National Association of State Directors of Developmental Disability Services found that ratios of service coordinators to people served ranked among the worst in the country. Advocates have been calling for additional investment — and now the state has an opportunity to heed their call. This kind of work – lobbying for increased funding – is at once my favorite and also the most boring type of disability advocacy. Basically, it consists of getting as many people as possible to loudly nudge policymakers at around the same time. To some degree, crafting effective arguments and talking points about why funding increases are important for this particular category at this particular moment matters, but not anywhere near as much as capacity for organized loudness. On the other hand, this is also the kind of advocacy that is the most unifying. Virtually every kind of disability advocate is welcome, because we all have a shared interest in securing more public funding for our drastically under-funded service system. Even if you believe (as I do), that certain types of services are inappropriate, harmful and should be phased out as soon as possible, the money to be saved from such measures is not sufficient to cover the gap between need and availability in high quality services. Matt Carey of Left Brain/Right Brain, who shares my distaste for the anti-vaccine contingent in autism politics, expressed frustration that autism organizations who had turned out hundreds of protestors against California’s new school vaccination law were no-shows to the December 10th rally in Sacramento to increase funding for the state’s developmental disability services. I share his frustration. The amazing thing is, we actually mean it. And this is as it should be. So long as we can all maintain a commitment to not trying to co-opt these kinds of events (something anti-vaxxers struggle with, to say the least), there is value in having neutral ground where we can all come together to support the public funding that makes arguing about what kinds of services and how they should be delivered possible. This can be somewhat hard to maintain at times: when I spoke at the Sacramento rally, I had to make sure to focus my comments on why the service system needed more money, not focusing on the parts of it, like sheltered workshops and group homes, that on balance could use less. But if all parties can maintain that mutual respect, we can leverage our political strength far more effectively than otherwise. When we come together to ask the State for more money, I promise not to bash Autism Speaks on the steps of the Capitol building if you promise not to talk about the autism epidemic coming to steal our children in the dead of the night. We may then return to our regularly scheduled trench warfare. This is also as it should be. The main point of this article was to push back against the Murphy legislation, which would expand forced treatment while drastically reducing the HIPAA privacy rights of people with psychiatric disabilities and the ability of the Protection and Advocacy rights protection programs to represent them effectively. Since Speaker Ryan had announced his intent to try and move the bill as his main legislative response to the San Bernardino shooting, the political dynamics surrounding it were also very relevant. This kind of advocacy – about how services and public funding should be structured – is very different from the first kind of advocacy. For one thing, it’s far more contentious. It usually involves pushing for change that threatens the established interests of existing provider agencies or that challenges ingrained assumptions about the capabilities of people with disabilities held by family members and professionals. It can involve acrimony and anger, with groups and individuals who may stand side by side on funding issues suddenly working at cross-purposes. It drives policymakers absolutely bonkers, since they generally don’t know which disability group they should consider empowered to “speak on behalf of the community”. This kind of advocacy is controversial, confusing and often painful. It is also absolutely vital for the healthy evolution of disability services. Contrary to those who see the sky falling in every drop of rain, internal political fights over disability policy are not new to the disability community. In the 1970s and ‘80s, for example, groups like TASH and the Arc fought pitched state-by-state battles with VOR and other pro-institutionalization advocates. Our modern system of community services and the growing number of states that have closed all of their large, state-run institutions for people with developmental disabilities is a direct result of that fight. If disability rights advocates were unwilling to court controversy by fighting with other disability groups, there could not be a disability rights movement. Leaving that discussion, we were convinced of two things: first, that the Murphy legislation was as ill-advised and pernicious as ever, and second, that Rep. Murphy was sincere in his rhetoric as to why he was introducing it. Like many psychiatrists (his professional background), Murphy actually believes that the problem with the mental health service system in the United States is that patients have too many rights and too much ability to refuse treatment. While he may be taking advantage of the public fear around mass shootings, he is doing so to advance policies he sincerely and honestly believes in. Recognizing this is important, in my opinion. Not because I think it makes Murphy’s bill any less of a disaster to mental health policy, but because it should remind us that one does not need to wait for a mustachioed villain maniacally cackling over their evil ways to find an enemy worth fighting. Many of the people promoting the most horrifying, dehumanizing, dangerous things for people with disabilities are sincere, well-intentioned and nonetheless horribly, tragically wrong. Reproductive technologies are being used to remove autistic people from future generations, not just to create “designer babies”. Privately run sperm and egg donation programmes, IVF clinics and laboratories around the world are making decisions that could eventually change the human race. Last month, I joined more than 180 progressive academics, scientists, activists and public intellectuals in an open letter expressing concern over how new gene editing techniques allow for heritable human genetic modification: changes to the human genome that could irrevocably alter the future generations of humanity. New technology is emerging that will allow for “designer generations”…. Disability has always been contextual. Many individuals who are today diagnosed with learning difficulties or intellectual disabilities would not have been considered such in a society before universal literacy, for example. Tomorrow’s social and technological progress may lead to still new disabilities. demonstrating that the quest to eliminate disability will always be a moving target. Such changes may leave humanity less equal, less diverse, and perhaps even less human. This is a very different kind of advocacy than the previous two. It isn’t about what level of funding disability will receive or what kinds of services people will get. In this particular case, it’s about what kind of people will be allowed to exist – but that isn’t the only thing that fits into the broader category it belongs to. On the Council, we referred to this as “looking around the corner” work, enabling us to prepare for ways in which broader societal changes might impact people with disabilities. Within it, we included things like making sure that self-driving cars were accessible, that evacuation efforts after natural disasters included people with disabilities, or that wellness promotion initiatives in workplaces did not result in discrimination. Sometimes “looking around the corner” topics became such a present issue that that name wasn’t really a good fit anymore, as in the case of physician assisted suicide or accessibility of ride-sharing apps. But in a broader sense, this advocacy is about how society at large will approach disability and disabled people within the context of technological innovations and other new developments that are not exclusively about us, yet nonetheless impact us a great deal. It is hard to do this kind of advocacy, in large part because it brings us into contact with forces well outside the disability world. The truth is that while institutional inertia and state fiscal woes limit the availability of public resources, there aren’t usually strong lobbying efforts opposing disability services funding. That doesn’t mean it is easy to get – but there isn’t exactly an opposition. And in fights over service quality or type, we know our opponents intimately, often on a first-name basis, as they are our partners in other kinds of advocacy. When we deal with this third type of advocacy work, we often find ourselves facing opponents (and needing to recruit partners) from outside the disability space. In doing so, it is suddenly all too apparent how small our world is and how comparably weak the disability community is as compared to other stakeholders and social movements. It is an open secret amongst Washington, DC’s disability leadership that we are not really a viable political constituency. We could be – the numbers certainly justify it – but compared to the level of organization, money and mobilization in other minority communities or on the part of major industry groups, we are tiny. Trying to ensure that the needs of people with disabilities will be met on advocacy issues that merit the attention of the big political players is often a humbling experience. P.S: Even though this is a personal blog, I would be remiss in my role as a non-profit employee if I failed to include the traditional New Year’s Eve fundraising appeal. If you feel like any of these kinds of disability rights work are important, consider donating to support ASAN’s end of year appeal. Any donation you make prior to midnight tonight will be matched by a generous anonymous donor. You can see more about ASAN’s work by checking out our annual report, available here.